The Bentley Bentayga Hybrid is, first and foremost, a Bentley; luxuriously crafted and progressively engineered by the Crewe factory. 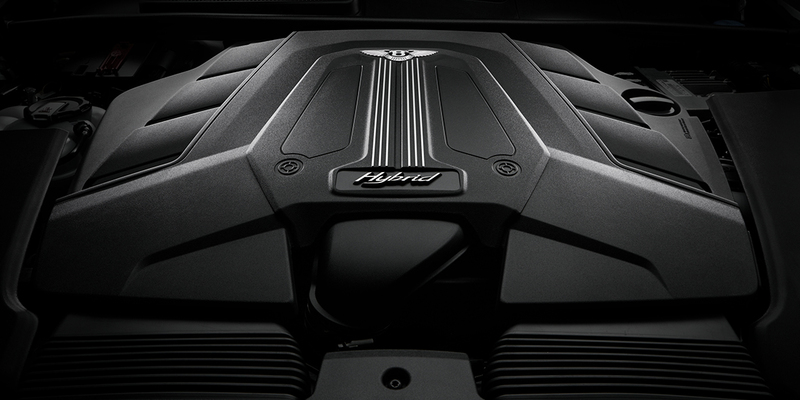 No compromises were made on performance in order to achieve a high-performance Bentley Hybrid. The class-leading V6 Turbo engine and electric motor hybrid goes from 0-60mph in a mere 5.2 seconds. Equally impressive: the SUV’s top speed maxes at 158mph but also achieves an average of 50mpg combined gasoline equivalent (US). The world’s first luxury hybrid creates a serene driving experience. The beautiful design of the Bentayga has remained untouched in the Hybrid model but can be driven in three modes- Hybrid, Hold, and EV Drive. The electric EV Drive mode is not only virtually silent but also has the lowest CO2 emissions of the Bentayga range. Who knew quiet ride could be so exhilarating! 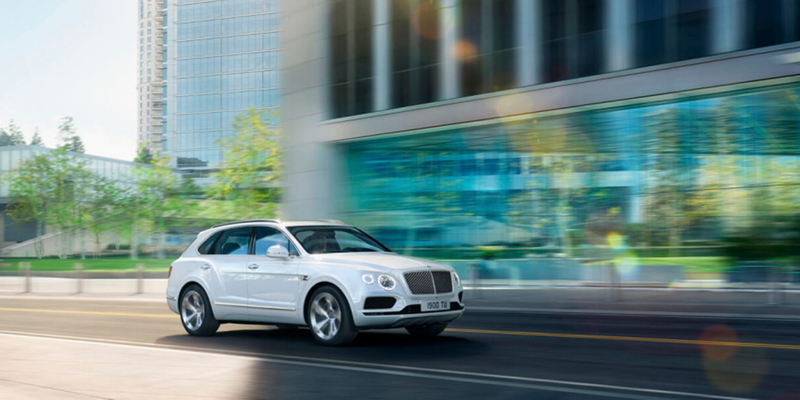 The sporty, yet elegant, SUV exterior characterizes the Bentayga family. The streamlined lines and flowing curves are reminiscent of Bentley sedans, but the twin-quad exhaust pipes scream sporty. A Bentley is not complete without winged B logos and the iconic headlamp clusters. You would never know that this luxury SUV is a Hybrid lest the badge on the rear. Personalization is up to the owner including a new rich, red color option available: Cricket Ball. This contemporary SUV can be driven in three modes- Hybrid, Hold, and EV Drive. Hybrid maximizes electric driving in order to minimize fuel consumptions and thus, emissions. EV Drive is all-electric, quiet, and emits the least amount of CO2 emissions. The intelligent accelerator and braking systems increase efficiency and allows for effortless speed transitions. Another enhancement to the modern driving experience is the connectivity to the “My Bentley app” that allows you to remotely charge your Hybrid and perform many other tasks. 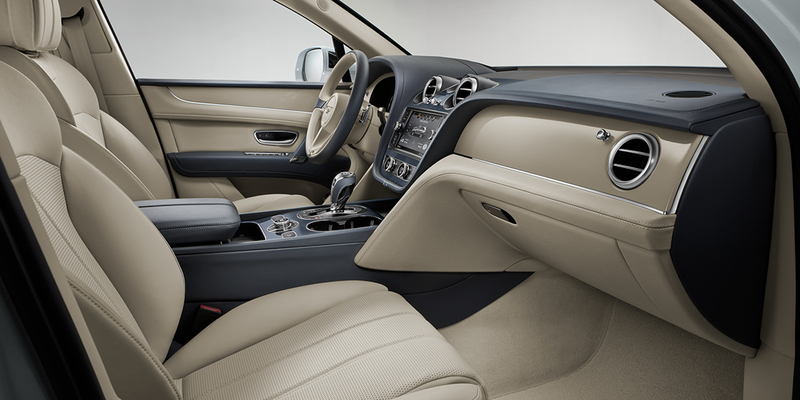 The Bentayga Hybrid is the perfect combination of modern luxury and serenity. Silent, EV Drive mode and eight layers of noise isolation allow you to zip through the city without being distracted by the commotion. Contemporary cabin accents, lacquered veneers, and highly comfortable fluted seats make for an exceptional driving experience. The sleek and intuitive infotainment center enhance your experience especially when paired with your personalized “My Bentley app”.